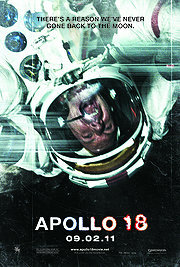 Apollo 18 was released some time ago with much fanfare and some really good editing on the trailer. Ie we thought we really really wanted, needed to see it. Well, it came on the satellite last night and it was horrible. Should have checked rotten tomatos first. It shows a rating of 24% on both the tomatometer and the audience liking it. Hmm. while we are there.. let’s check out Battleship (2012) as it was another trailer-seen-in-theatre that looked interesting. 35% on the tomatometer and 54% of the audience liked it! Another hmmm. Maybe its time to try out rotten tomatos as our forecasting guide to movies. Typically we would find a reviewer, after a time if they agreed with us, we would use them. Siskel & Ebert were among the last of the reviewers who agreed with us and would be a good predictor of what we would like. That was a long time ago.